I am holding several commissions in enterprises and foundations and interested in academia-industry collaboration. Björkroth, K.J., Geisen, R., Schillinger, U., Weiss, N., De Vos, P., Holzapfel, W.H., Korkeala, H.J. & Vandamme, P. 2000. Characterization of Leuconostoc gasicomitatum sp. nov. associated with spoiled raw tomato-marinated broiler meat strips packaged under modified atmosphere conditions. Appl. Environ. Microbiol. 66: 3764-3772. Koort, J.M.K., Murros, A., Coneye, T., Eerola, S, Vandamme, P., Sukura, A. & Björkroth, K.J. 2005. Lactobacillus oligofermentans sp. nov., associated with spoilage of modified-atmosphere-packaged poultry products. Appl. Environ. Microbiol. 71: 4400-4406. Vihavainen, E. & Björkroth, J. 2007. Spoilage of value-added, high-oxygen modified-atmosphere packaged raw, beef steaks by Leuconostoc gasicomitatum and Leuconostoc gelidum. Int. J. Food Microbiol. 119: 340-345. Vihavainen, E., Koort, J.M.K., Lundström, H.-S., Susiluoto, T., Auvinen, P., Paulin, L. & Björkroth, K.J. 2007. Role of broiler carcasses and processing plant air in contamination of modified-atmosphere-packaged broiler products with psychrotrophic lactic acid bacteria. Appl. Environ. Microbiol. 73: 1136-1145. Vihavainen, E. & Björkroth, K.J. 2009. Diversity of Leuconostoc gasicomitatum associated with meat spoilage Int. J. Food Microbiol. 136: 32-36. Nieminen, T.T., Vihavainen, E., Paloranta, A., Lehto, J., Paulin, L., Auvinen, P. & Björkroth, K.J. 2011. Characterization of bacterial communities in modified-atmosphere packed minced meat with terminal restriction fragment length polymorphism. Int. J. Food Microbiol. 144: 360-366. Rahkila, R., Johansson, P., Säde, E. & Björkroth, K.J. 2011. Identification of enterococci from broiler products and broiler processing plant and description of Enterococcus viikkiensis sp. nov. Appl. Environ. Microbiol. 77: 1196-1203. Johansson, P., Paulin, L., Säde, E., Salovuori, N., Alatalo, E.R., Björkroth, K.J. & Auvinen, P. 2011. Genome sequence of a food spoilage lactic acid bacterium Leuconostoc gasicomitatum LMG 18811T, in association with specific spoilage reactions. Appl. Environ. Microbiol. 77: 4344-4351. T. Nieminen, K. Koskinen, P. Laine, J. Hultman, L. Paulin, E. Säde, A. Paloranta, P. Johansson, K.J. Björkroth & P. Auvinen. 2012. Comparison of microbial communities in marinated and unmarinated broiler meat by metagenomics. Int. J. Food Microbiol. 157: 142-149. Jääskeläinen, E., Johansson, P., Kostiainen, O., Nieminen, T., Schmidt, G., Somervuo, P., Mohsina, M., Vanninen, P., Auvinen, P. & Björkroth, J. 2012. Significance of Heme-based Respiration in Meat Spoilage caused by Leuconostoc gasicomitatum. Appl. Environ. Microbiol.79: 1078-1085. External funding has been obtained since 1998 from the Academy of Finland, TEKES, the food industry, University of Helsinki and several foundations. 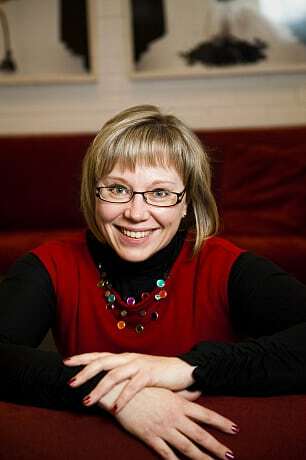 In the Academy of Finland national programme for Centres of Excellence (CoE) research program 2008-2013, Professor Björkroth is the vice leader and one of the 5 team leaders of the CoE in Microbial Food Safety research.